In IL visiting the siblings. We have great plans for my weekend. Of course some of our plans involve a bit of wine. Everytime I come to visit we try to hit a new winery. 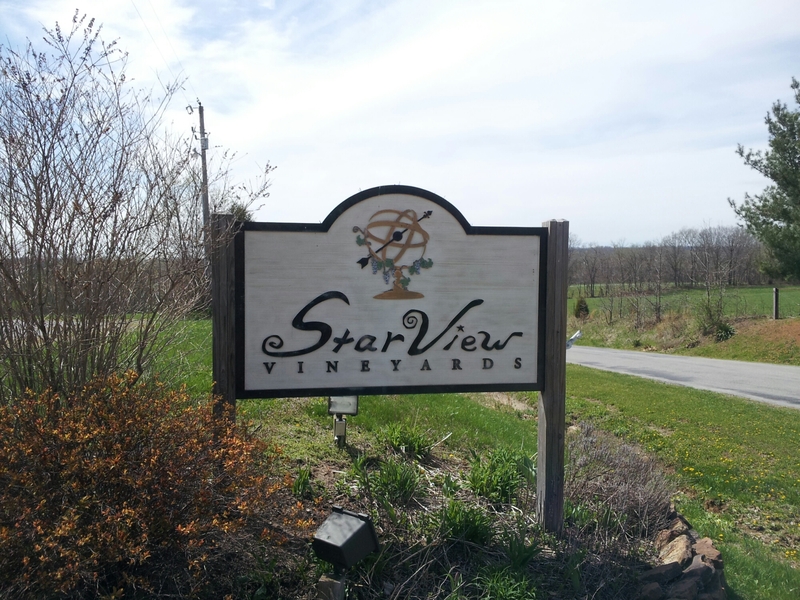 This time we visited Star View Vineyards. 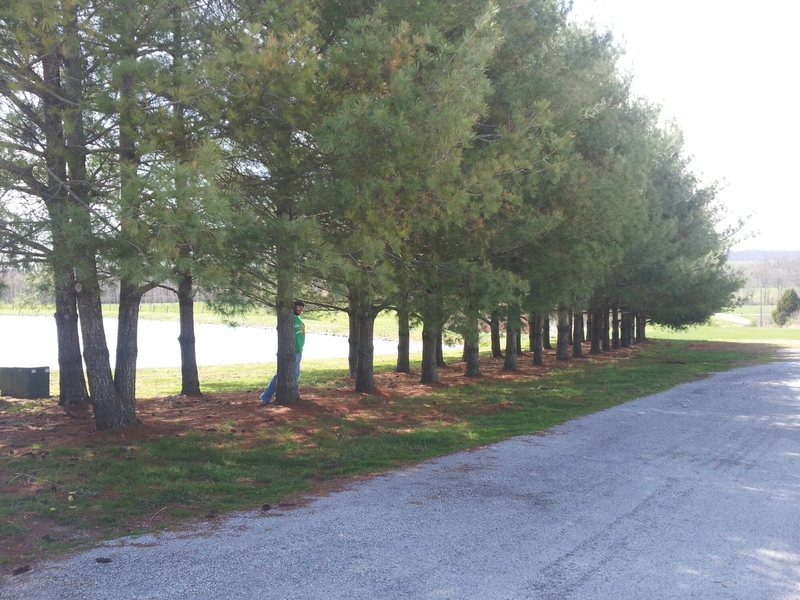 They have beautiful grounds surrounding their events/tasting building. We tasted five of their sweet wines which were all quite tasty. We left with souvenir glasses and a bottle of wine for later. While shopping in town we got more scrapbooking supplies. Beth and I have decided that our distant descendents will likely be putting the final touches on our wedding scrapbooks long after our deaths. We also stopped by the international grocery to grab a sushi mat. I hope you’re looking forward to see photos from the sushi rolling tonight. I expect a delicious train wreck. 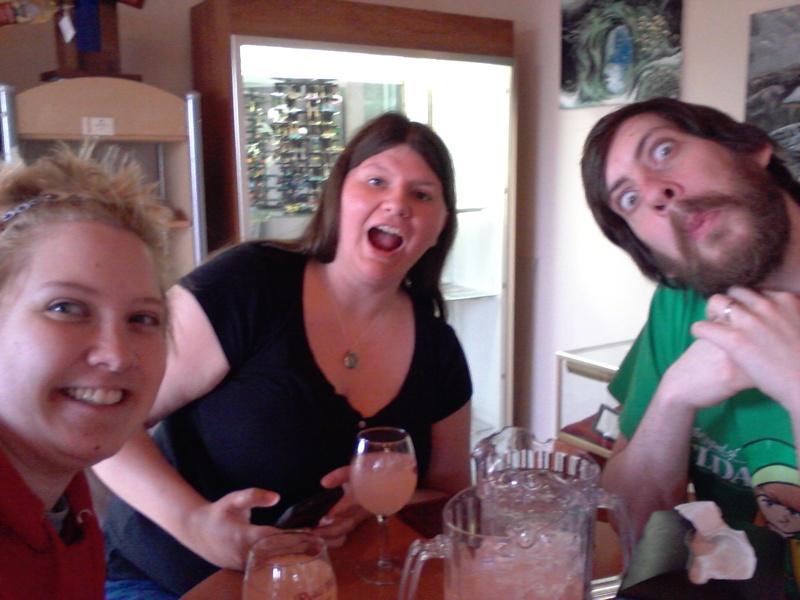 After shopping we hung out at Rustle Hill Winery with a pitcher (or two) of their white sangria. Tom opted for a Gunslinger beer. After getting sufficiently spiffled we came home so Tom could catch up. Beth and I slowed our boozing down with chocolate chip cheesecake dip, graham crackers and port. I made the sweet dessert dip earlier yesterday. It is so completely worth the 10 minutes it takes to put together. Want the recipe? Stay tuned. Hope your week is going just as well. We’ll be hitting the Giant City State Park trails midmorning and picnicking in the woods.